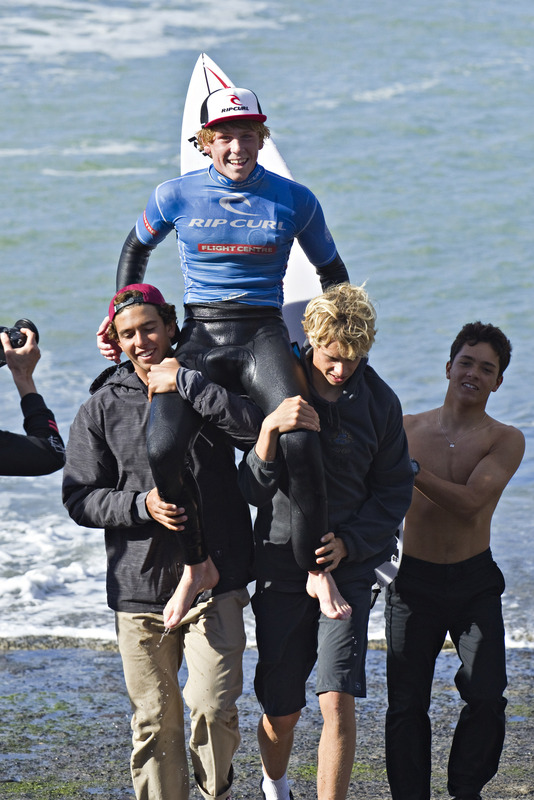 Raglan, New Zealand (Tuesday, May 5, 2018) - Today was a day that will go down in GromSearch history – 16 of the world’s best junior surfers battling it out in solid and powerful four-to-six-foot Manu Bay, posting 10-point rides and showing the world what the future of surfing looks like. At the end of the competition it was Torquay’s Xavier Huxtable (AUS) and Kauai’s Keala Tomoda-Bannert (HAW) who came out on top, taking down the duo from the NSW Central Coast Finn Hill (AUS) and Kirra-Belle Olsson (AUS). It wasn’t an easy road to the final, though. Xavier also had to surf through a highly talented Cole Houshmand (USA) in the semis, who is known for his progressive style in all types of waves, and in order to come out on top the Victorian had to post two massive scores. But he was up to the task, and by the end of the heat he had the first and only 10-point ride, combined with a 9.25 – a near perfect heat score of 19.25. Hawaii’s Keala Tomoda-Bannert didn’t have an easy path to the title either, matching up against Brazilian talent Anne Dos Santos (BRA) in the semis and the promising Australian surfer Kirra-Belle Olsson (AUS). 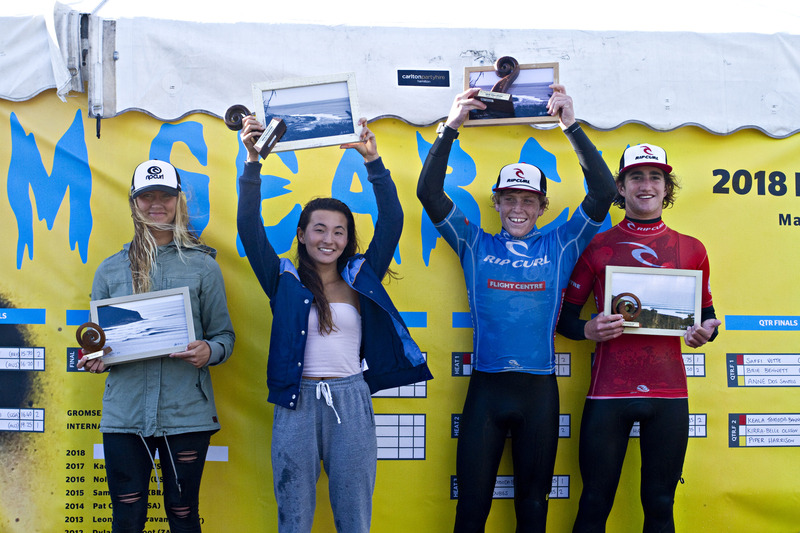 A massive thank you to all the competitors of the 2018 Rip Curl GromSearch International Final, and a huge congratulations to Xavier Huxtable and Keala Tomoda-Bannert.